The edibles market has quickly evolved into one of the fastest growing cannabis subsectors. 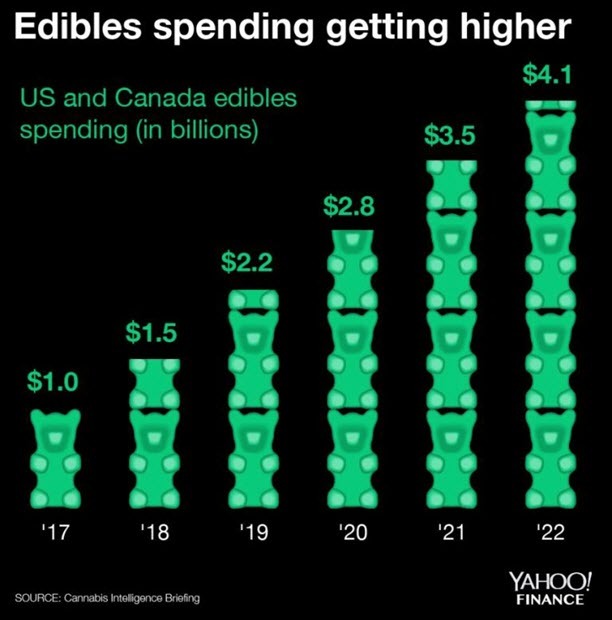 With Canada set to legalize edibles this year and more US states legalization medical and recreational cannabis, annual sales of edibles in the US and Canada could hit $4.1 billion by 2022. While Dixie Brands (DIXI, DXBRF) is still my favorite edibles company right now, I see another promising cannabis company that is already cashing in on the edibles trend. Slang Worldwide Inc. (SLNG) is headquartered in Denver, Colorado and is an early leader in the high-growth, US edibles market. is one of the largest edibles companies in the US. owns some of the most popular edibles brands in the industry. is seeing sharp growth in sales. just went public on the Canadian Securities Exchange. Slang is already an established leader in the US cannabis industry with a market cap of approximately $600 million. That makes this one of the largest cannabis companies and cannabis IPOs we have seen in the last six months.